Credit Card Software - Which Version Do I Need? Most people start with the 14 day free trial of the Lite Version so they can try all of the features the software has to offer. At the end of the free trial period if you do not need the additional features of the Lite version, simply download the free version and continue working with your credit card information. Tip - The workbook used to save your credit card information is 100% compatible between both versions, so you can start with the Lite version and then easily switch to the Free version at any time without having to re-enter any of your details. 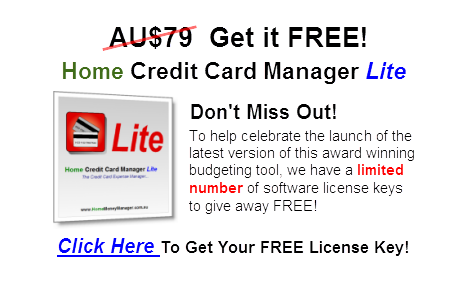 Click here to visit the Home Credit Card Manager Lite product page.